With the appointment of John Bolton as national security adviser and the nomination of Mike Pompeo as secretary of state, the Trump administration seems to be tilting toward abrogating the Iran nuclear deal, also known as the Joint Comprehensive Plan of Action (JCPOA) in May. Nevertheless, such a move would not necessarily portend an Iranian race to a nuclear bomb, at least for now. For his part, Pompeo was a strong critic of the deal in 2015 as a congressman and almost certainly will remain so as head of the State Department. Differences between the president and former Secretary of State Rex Tillerson over the JCPOA were one of the president's stated reasons for his replacement, suggesting Pompeo shares the president's opposition to the agreement. an inspection regime that may not be able to gain access to military sites where the Islamic Republic conducted clandestine military-nuclear activities in the past. 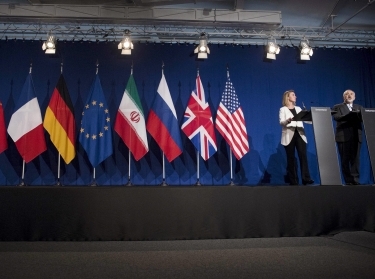 Although the JCPOA's provisions were limited to Iran's nuclear program, some in the United States and the international community hoped the agreement would moderate Iran's behavior and encourage the Islamic Republic to become a responsible member of the international community. That hasn't happened. 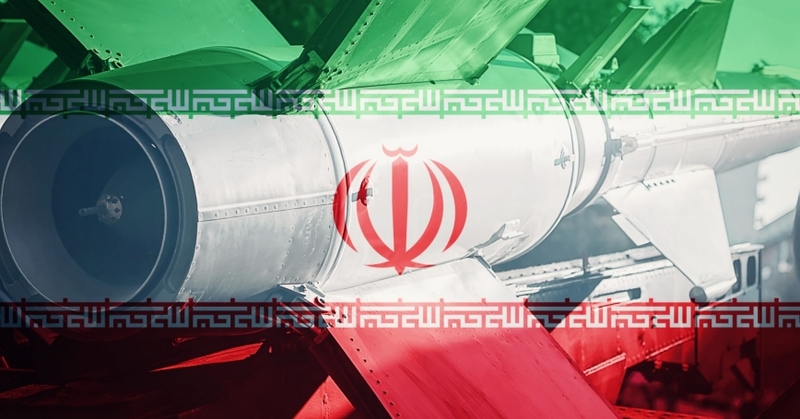 Iran has continued to proliferate advanced missile technology to its proxies, support terrorism, and pursue expansionist regional ambitions, including destabilizing activities in Syria and Yemen, along with provocations toward Israel. For its part, Tehran insists its regional activities and ballistic missile program are not restricted by the JCPOA, and it has repeatedly maintained it is not willing to re-open negotiations or modify the provisions of the agreement. Both Russia and China support Iran's position. Iranian officials repeatedly have indicated Tehran would accelerate its nuclear program in the event the agreement collapses. 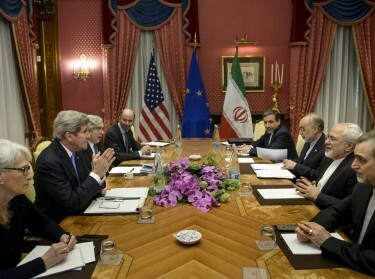 Tehran is unlikely to immediately withdraw from the deal and restart its nuclear weapons program. This course of action would reinforce international concerns about Iran's mid- to long-term intentions to become a nuclear-armed state and almost certainly lead to a re-imposition of draconian sanctions. Instead, Iran will likely seek to appear as the victim of an unreasonable U.S. stance by highlighting that all the other signatories of the deal continue to support it. As such, Iran may make a statement that it is no longer bound by the JCPOA but note that it is voluntarily continuing to comply with its provisions. Tehran's goal would be to isolate the United States, secure European, Russian, and Chinese support, and avoid secondary sanctions, particularly given the relatively poor state of the economy and the fairly widespread unrest of late. That said, if draconian sanctions are eventually re-imposed—including secondary sanctions which affect non-U.S. companies—and if European governments do not successfully push back against such measures, it is possible Iran would then move to formally withdraw from the agreement and restart its nuclear program. With the recent appointments, Tehran apparently believes the United States is set to pull out of the deal and may be preparing for new sanctions. Khamenei named the new Iranian year as one of “Support for Iranian Products” and urged people to support domestic products. While national self-reliance is not a new theme for Iran since the 1979 revolution, it is noteworthy at this juncture. The Trump administration has set a May 12 deadline after which it will no longer sign the sanctions waiver absent changes to the agreement. A compromise solution will be difficult to find in the coming weeks, but the European signatories to the agreement (France, the U.K., Germany) are working to find a palatable diplomatic solution. Indeed, the appointments put increasing pressure on the Europeans to find an acceptable solution. Moreover, there are some in the administration, namely Secretary of Defense James Mattis, who have expressed public support for staying in the deal, suggesting some compromise is still possible. Upcoming negotiations with North Korea on its nuclear program could provide another reason to postpone a crisis with Iran and a falling out with the other signatories of the JCPOA. Nevertheless, the appointment of Bolton as national security adviser and the nomination of Pompeo as secretary of state has shifted the balance within the administration, strongly suggesting the United States is preparing to leave the JCPOA. A U.S. unilateral withdrawal does not necessarily portend the imminent collapse of the agreement nor does it signal an immediate acceleration of Iran's nuclear weapons program. A broader collapse of the agreement along with the imposition of harsh sanctions in the coming months, however, could sharply escalate tensions with Iran. Freed from the constraints of the JCPOA, Tehran may eventually opt to jump-start its nuclear project, a move that would increase the risk of a major regional war. Richard C. Baffa is a senior international/defense policy researcher at the nonprofit, nonpartisan RAND Corporation. This commentary originally appeared on The Hill on April 3, 2018. Commentary gives RAND researchers a platform to convey insights based on their professional expertise and often on their peer-reviewed research and analysis. Corentin Brustlein, James Dobbins @Jim_Dobbins, et al. 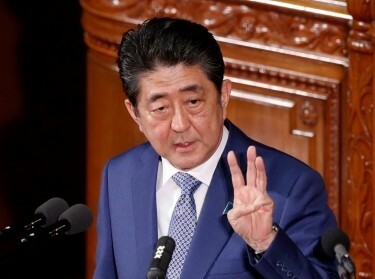 What Does Japan Think of the Iran Nuclear Deal?